Interactive videos are engaging and motivating. They break the fourth-wall to bring corporate learners into the online training experience. As such, they are welcome additions to online training courses that need some educational entertainment. 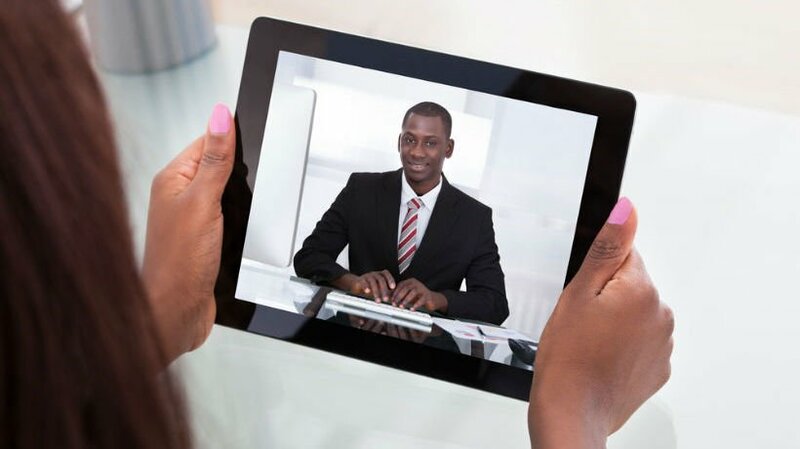 In this article, I'll share 8 tips to use interactive videos in your online training course. Interactive videos blend traditional videos with clickable questions. When a corporate learner clicks on the hot spots, they are redirected to a video response, which prompts them to ask yet another question. This gives them the opportunity to interact with Subject Matter Experts and experienced professionals who aren't available for one-on-one chats. Here are 8 helpful tips for using interactive videos in online training. Interactive videos are extremely versatile. You can cover virtually any topic at length, or turn it into an interactive microlearning online resource, which is why you should keep your interactive video clips bite-sized and easily digestible. Focus on one specific sub-topic or idea for each snippet. Employees have the power to click through to the next clip by asking another question. As a result, they're able to get just the right amount of information to solve the problem. For example, an employee is struggling with a task. They can access the interactive video, click on the appropriate question, and focus on the missing step. Your speaker should be the focal point of the interactive video. Avoid busy backgrounds, pop-ups, and any other distractions that steal the spotlight. This also includes music or sound effects that overshadow their voices. A related tip is choosing an online presenter who is easy to understand. For example, heavy accents or mispronunciations may confuse online viewers and pull them out of the online training experience. In lieu of a visible presenter, use a voice over narrator and visually appealing images. Clickable eLearning questions are the interactive component. The online presenter discusses the topic and then a series of eLearning questions show up on the screen. Corporate learners have the opportunity to choose the question that pertains to them and their specific needs. For this reason, you should keep your eLearning questions clear, concise, and direct. Let corporate learners know what they can expect, such as which topics they're going to explore or their benefits. Corporate learners with special needs may not be able to listen to the interactive video. As such, you should include subtitles or closed captions to make it easily accessible. This is also beneficial for mobile corporate learners who aren't able to play the audio. They have the option to mute the interactive video and simply read the text. In addition, give corporate learners complete control over the playback controls so that they can pause, rewind, and adjust the volume. Producing an interactive video requires effective recording and editing software. You must be able to cut down your raw footage and piece it together to ensure continuity. Choosing the best tool for the job depends on your skills, personal needs, and online training budget. For example, all-in-one tools may be more expensive, but they offer a broad range of assets. You may want to opt for a more user-friendly online platform if you are new to the world of eLearning video production. Lastly, you need to pick the best hosting site. Some eLearning professionals upload the interactive video to their Learning Management Systems, while others publish it on YouTube. You always have the option to embed an external link into your online training course. Instead of a straightforward Q&A, transform your interactive video into a serious of vignettes. Each clip features a cast of eLearning characters, realistic backdrops, and well-written dialogue. Corporate learners get to follow along with the story until the screen pauses and a list of questions appears. Another approach is combining vignettes with direct questions. For example, the online presenter explores the topic as usual, then prompts corporate learners to pick a question. Each question directs them to a different scene. This is particularly beneficial for task or compliance-related online training that may involve multiple steps or policies. Companion guides feature complementary online training activities, video transcripts, and other essential online training materials. Employees can quickly reference certain sections of the interactive video to refresh their knowledge. They also have the opportunity to participate in branching scenarios, online training simulations, and serious games that tie into the discussion topic. The companion guide becomes a "moment of need" online resource, as well, since employees can use it on-the-job. eLearning assessments are a great addition to these guides. Corporate learners are able to test their progress and proficiency in their own time. After they identify areas for improvement, they can seek out additional online resources to improve comprehension. As is the case for all online training materials, interactive videos are a work in progress. You have the power to continually improve your approach to make it even more engaging. However, you need corporate learner feedback to make the necessary changes. Include links to online surveys and polls so that employees can offer their input. Online forums and social media groups are also beneficial. Invite participants to visit your page after the fact to share their opinions and recommendations. Video stats also provide a wealth of data. For example, YouTube video analytics include your subscriber and view count, as well as engagement stats. You can find out how many employees clicked on your questions or annotations and their typical watch time. All of this information helps you create more effective interactive videos moving forward, or add questions to your existing videos. Interactive videos add interactivity and immersion to your online training program. However, the quality of your production is an important consideration. There are a number of eLearning authoring tools that can help you create amazing interactive videos with limited resources. Look for online platforms that offer rich asset libraries and templates to simplify the process. In addition to eLearning and video editing authoring tools, you can use royalty free clips to produce high quality interactive videos. Read the article Top 10 Stock Video Sites EVERY eLearning Pro Should Bookmark to discover the top stock video sites that every eLearning pro should bookmark.